Christmas cake, fruit cake, holiday cake…..whatever you want to call it…….this cake has had a love/hate relationship with a lot of folks. Quite simply, you are either a huge fan of this Christmas tradition or you look upon it with the same revulsion as The Plague! If you fall in to the second category than I’ll bid you a good day and hope you’ll drop by again. 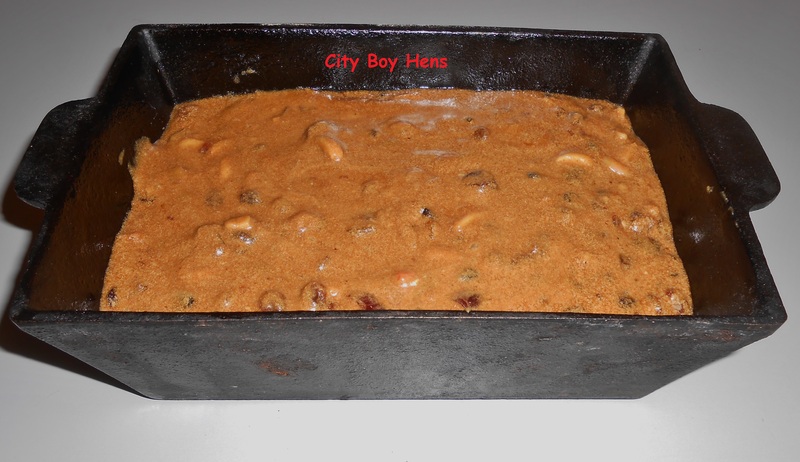 But, if you enjoy the combined taste of almonds, currants, dates, raisins, candied cherries and citrus all baked up into a flavorful greatness, than I’ll bet that you love fruit cake and look forward to buying this cake at Christmas. 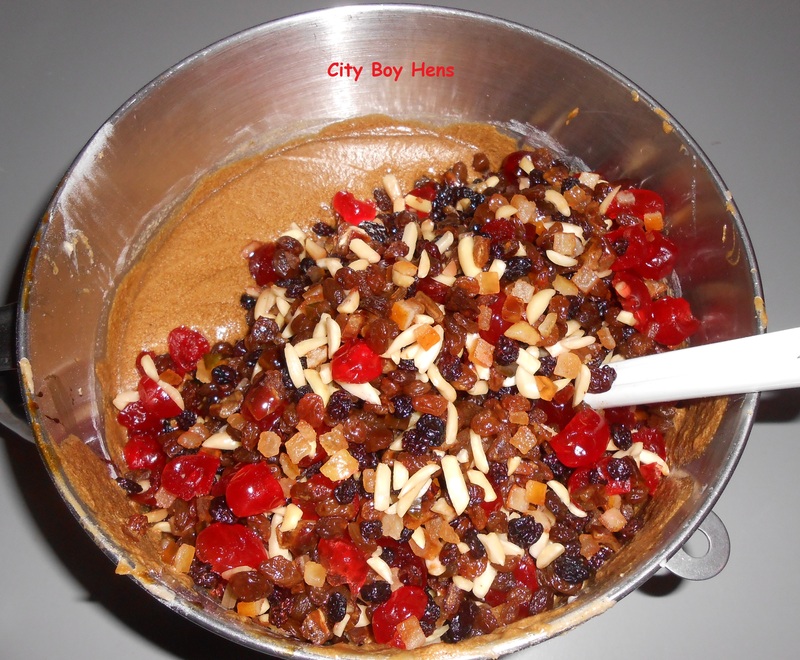 But this year, instead of buying Fruit Cake, why not try your hand at making this Holiday favorite? I promise……it really isn’t hard! My initial desire to make this cake came from two separate areas. First, my Dad LOVES fruit cake. I can still remember his “company gift” fruit cake coming into our house on Christmas Eve and being strategically placed on top of our fridge. Every January evening after dinner, that fruit cake was taken down from its sacred spots and a small piece was sliced off and washed down with a cup of coffee. So for you Dad, I’m really making this cake, though I too am a fan of the fruit cake as well. 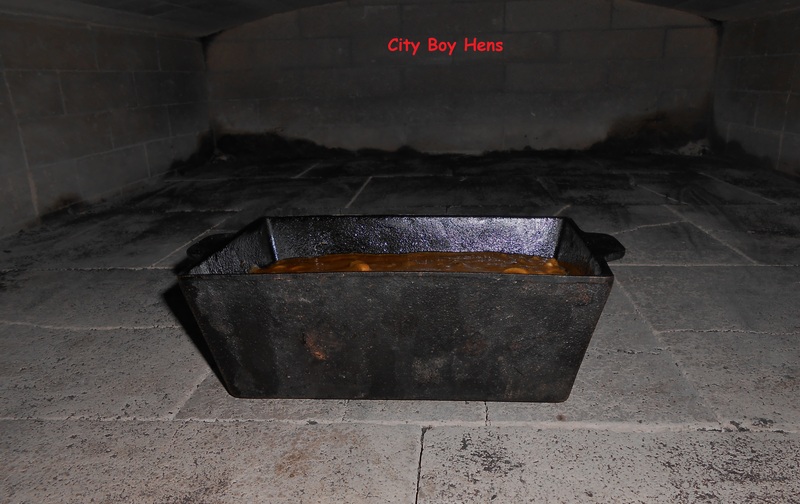 Secondly, my blog is focused on “stepping back to a simpler time” and I received a great opportunity this month to make a fruit cake in a wood fired brick oven just the way folks would have done so more than 150 years ago! So…. 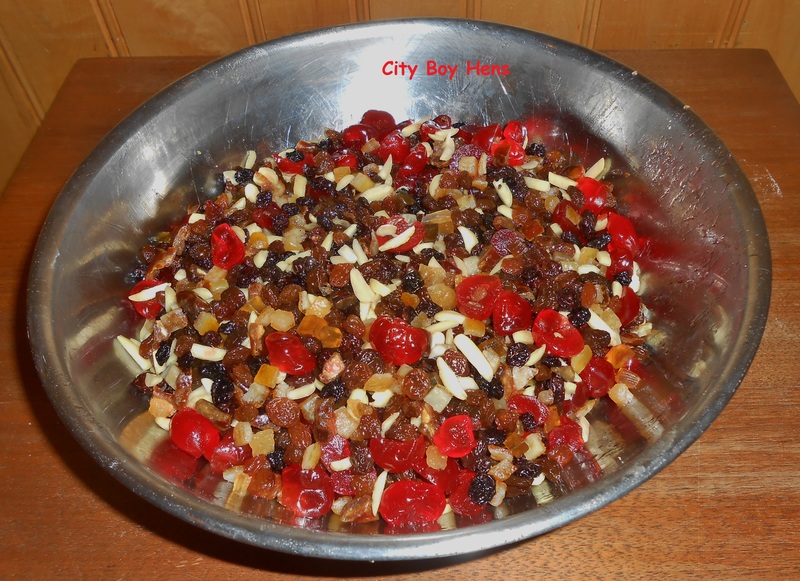 without further adieu, here is a classic fruit cake recipe that I hope you will enjoy. 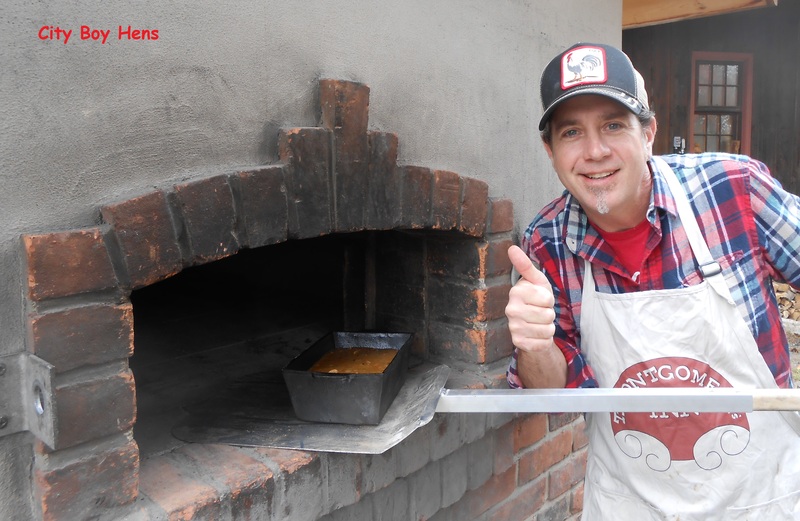 Oh….by the way, ……you don’t need the wood fired brick oven. Your conventional oven will work just fine. 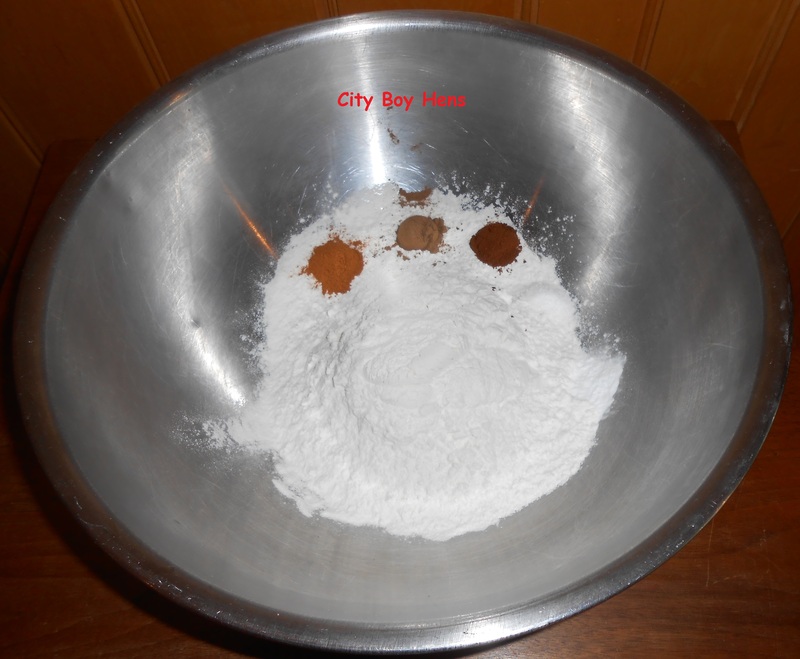 Grease a loaf pan which will hold 5 1/2 cups of ingredients or 3 small pans which will each hold just under 2 cups of ingredients. 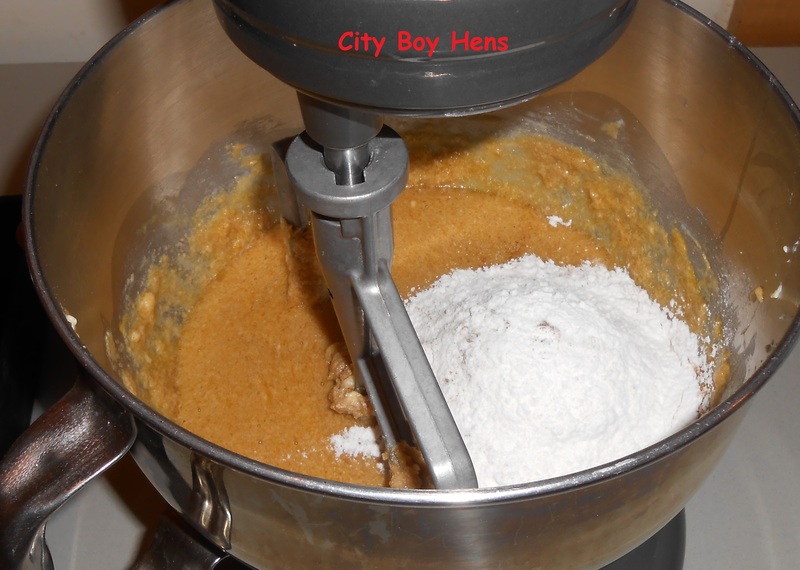 Add sifted dry ingredients alternately with liquid. Make 4 dry and 3 liquid additions. Fold in flavored fruit. Turn into a prepared pan. Bake in 275 degree oven for 3 to 3 1/2 hours for a full size cake and 2 hours & 40 minutes for a mini cake. Because every oven is different, make sure to test your cake by inserting a toothpick into the cake, If the toothpick comes out “clean” you will be good. Remove from pan and lift off parchment paper. Drizzle generously with brandy (around 2 tablespoons). 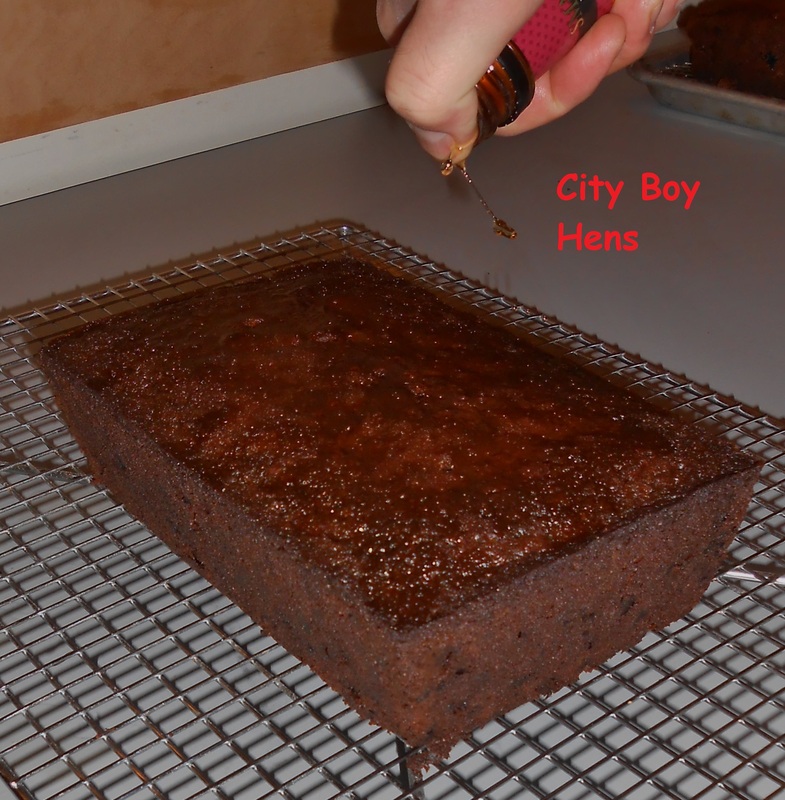 Cool cake completely and then wrap loosely in wax paper and store in an air-tight container. I have had the pleasure of tasting this Christmas cake. It is THEE best I have had. Full of fruit, nuts, and the right amount of moisture on the inside but lovely browning on the out. I am hoping when I make this in my conventional oven that it will taste just as good but some how it just feels so gosh darn pioneer yummy when you know it has been created with love in an outdoor oven. Enjoy! Merry Christmas Cake! Thanks for the compliment. I hope you will try it in your own oven. I know it will turn out great! WOW! That looks great! Thanks for the recipe! You are welcome. Hope you give it a try! Looks wonderful! Thx for sharing on From the Farm blog hop! I do like a slice of fruit cake now and then. This looks yummy! love the oven too. My mom use to make a white fruitcake that was so yummy. I haven’t made it in years. I might have to try it this year. Pinning your recipe too. Thanks for sharing with SYC. Hope you’ll try the recipe. Thanks for the Pin! Sensational – we all love heavy, dense with fruit cakes! Well, I’m a fruit cake lover! saw this recipe and it’s in the oven right now. The only change I made was using dried cherries and Rum instead. 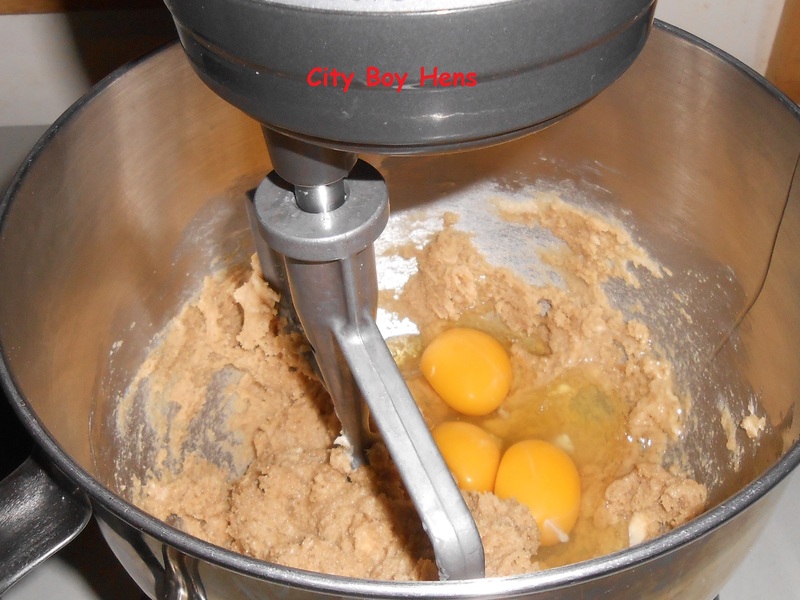 This is the third recipe attempt I’ll be making this holiday season so far. I tasted the batter and it hits the mark. 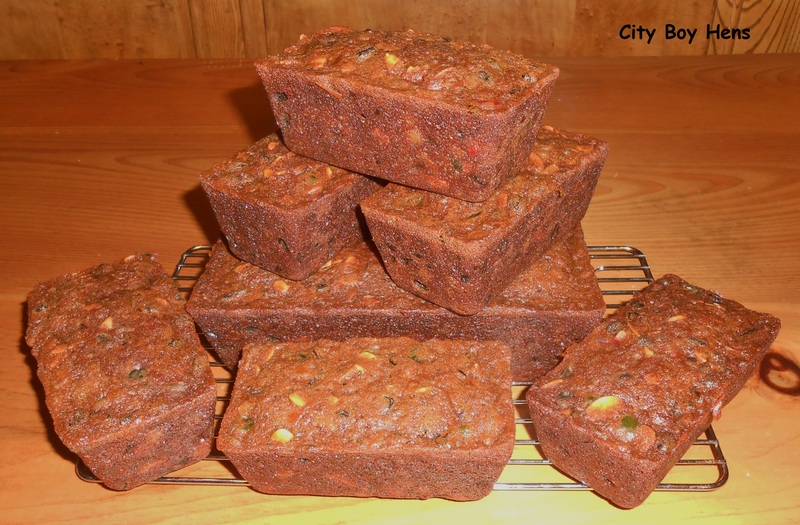 It’s quick & easy and since I’m trying to convert my wife and kids to fruit cake lovers, this tastes like a winner. I’m working against my wife, passing on her fear of fruit cake to the kids. Must have been all the candied fruit that killed her taste buds. Wish me luck. I’ll get back to you on this one J.R. 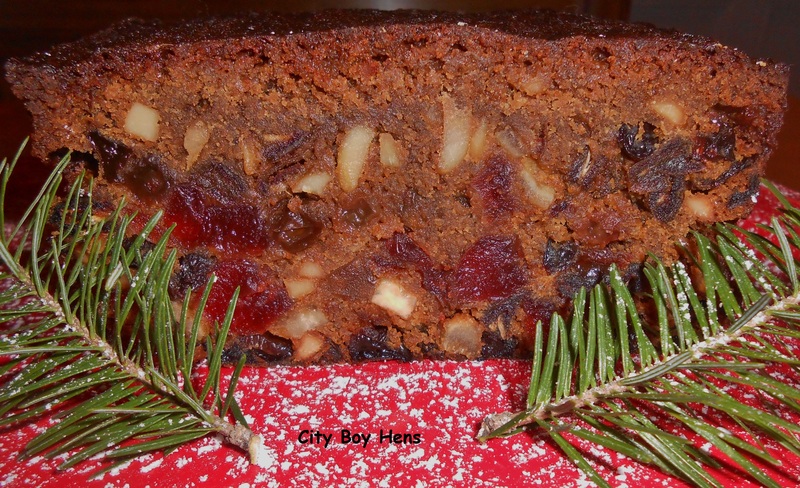 I hope you win the fruit cake battle and your kids “learn” to love this Christmas treat! Hey! Glad to see your back!! I never made a fruit cake always thought they seem so hard to do but I think I will try this one but I have one question ” 1/2 Cup chopped mixed peel” What peel??? It is “candied” orange lemon and lime rind. It tastes great, but if you’re not a fan, just omit.